SKU: ND4765. Listed in: Masks, Masquerade. Tags: mask, masquerade. 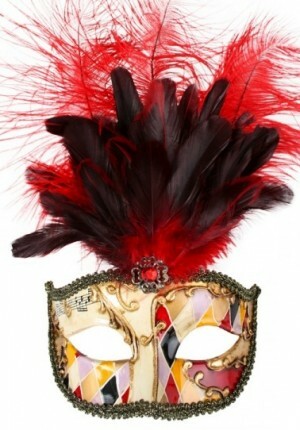 Allegra Masquerade mask with elastic for sale. Has large central red feathers. 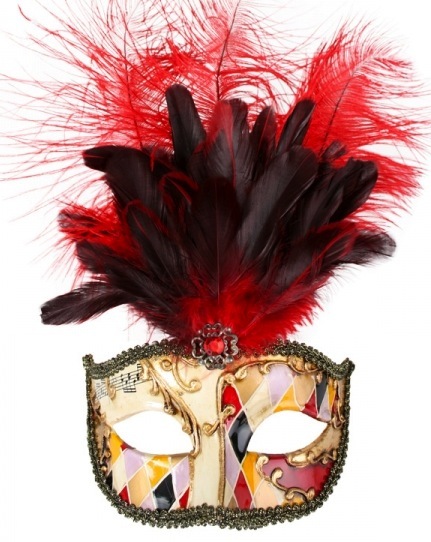 Masks is cream with gold braid and harlequin pattern.